A fun, up-close and personal way to experience Shabbat at shul (the synagogue). With stories, songs, games, and prizes, your children won't even realize they're learning! Our children are truly the most precious part of our shul, and will be brought in for select prayers. 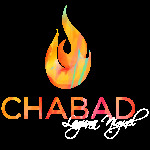 In the meantime, mom and dad, feel free to enjoy the inspiration and insight of a Shabbat prayer service at Chabad, or tag along with your kids. Shabbat Adventure concludes at the same time as the prayers, and the children will rejoin the adults for kiddush lunch.